The Greater Wilshire Neighborhood Council will host its second Drought-Tolerant Garden Tour on Saturday! Garden Tour attendees may procure maps of the gardens at the meeting point. This will be a self-guided and free tour. The Second Drought-Tolerant Garden Tour will showcase gardens in the following Greater Wilshire neighborhoods: Brookside, Fremont Place, Sycamore Square, and Wilshire Park. Although the tour will focus on neighborhoods on the south side of the Greater Wilshire area, the tour will also feature a magnificent Hancock Park garden recently featured in the LA Times. Another tour highlight will be the front and rear garden of a Fremont Place home recently featured in the 2018 The Garden Conservancy “Los Angeles Open Day” tour. 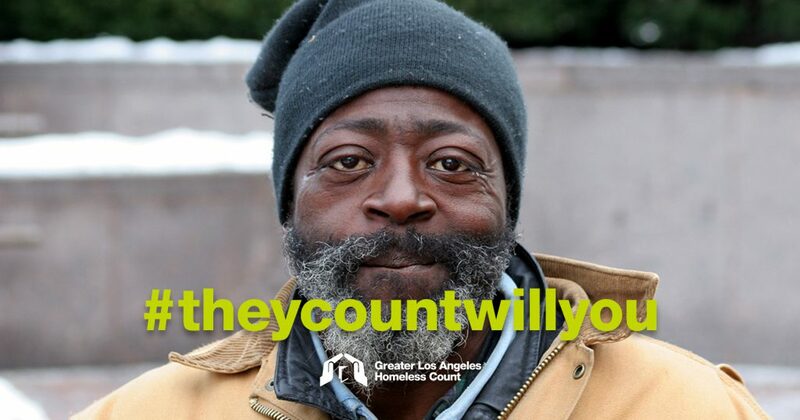 All gardens were nominated by Greater Wilshire resident. The review and selection of garden nominations was made the GWNC Sustainability Committee members. At the Garden Tour’s meeting point, Rain Barrels Intl. 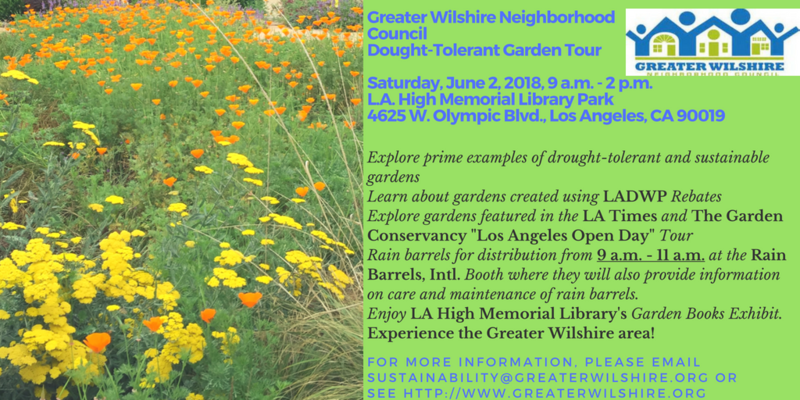 will be distributing rain barrels for sale, which are eligible for City of Los Angeles Rain Barrel Rebates, and offering information on rain barrel care and maintenance from 9 a.m. – 11 a.m. Last, LA High Memorial Library will feature an exhibit on garden books to compliment the tour. 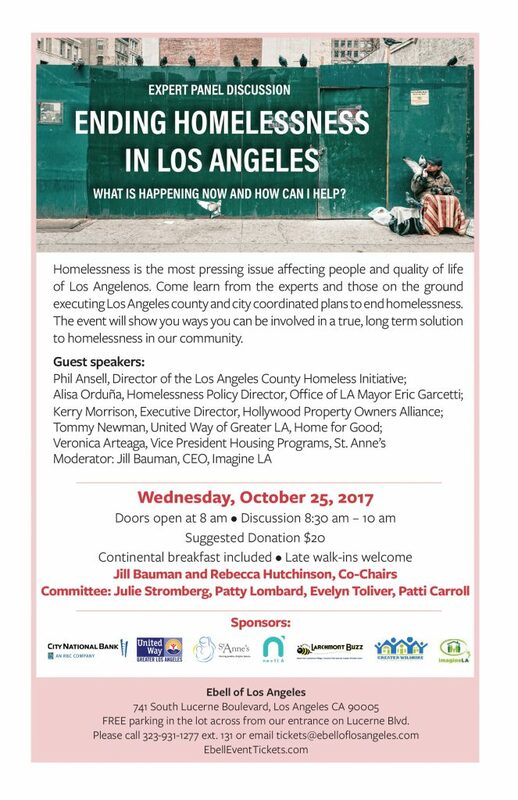 For more information on this event, please contact Julie Stromberg, Chair, GWNC Sustainability Committee, at sustainability@greaterwilshire.org. 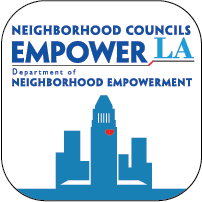 Responding to the recent uptick in crime in the Greater Wilshire area, representatives from LAPD and several security companies will show how residents can organize their neighborhoods to help deter crime and protect themselves. Wednesday, March 14, 6:30 p.m.
LAPD officers and detectives from the Wilshire and Olympic Divisions will attend and answer any questions from residents regarding crime in the Greater Wilshire area. Representatives from ADT, Moore Protection, Post Alarm Systems, and SSA Security Group, Inc. will be present to offer home security recommendations. Please enter through the door marked “GWNC”. The meeting will be held at 6:30 p.m. Follow signs to the assigned room. The Safe Sidewalks LA (SSLA) Notice of Preparation / Initial Study was released at the end of July. You can download the documents below which are also posted on the SRP website, sidewalks.lacity.org/environmental-review-process. Event time: 6:00 p.m. – 8:00 p.m.
You can submit comments online at the following link: http://sidewalks.lacity.commentinput.com/. Please be sure to include your contact information. You may also upload documents when submitting a comment. The comment period ends September 15, 2017.